, a Franciscan friar, of the order of minims, celebrated as a botanist and natural philosopher, was born at Majie in Provence, in 1660. He first visited Cartbagena and Martinico, in 1703 and 1704, and afterwards travelled to the western coast of South America, investigating the natural productions of New Spain and the neighbouring islands, from 1707 to 1712. All these voyages he accomplished under the patronage of Louis XIV. 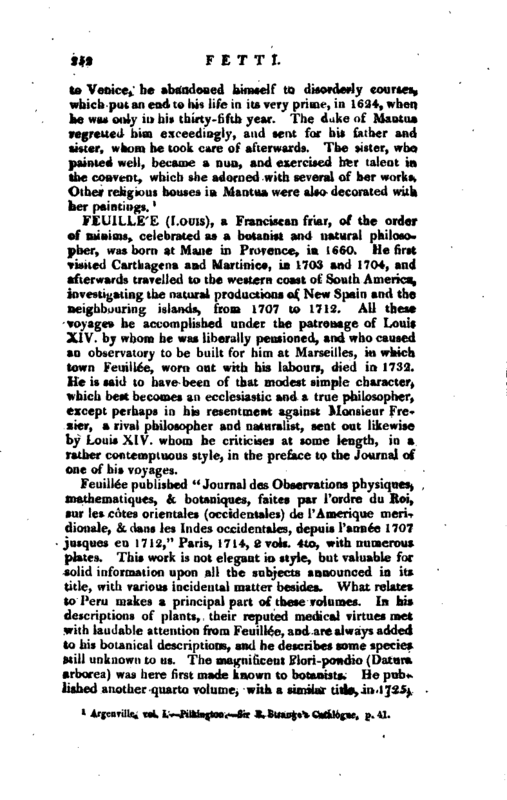 by whom he was liberally pensioned, and who caused an observatory to be built for him at Marseilles, in which town Feuillee, worn out with his labours, died in 1732. 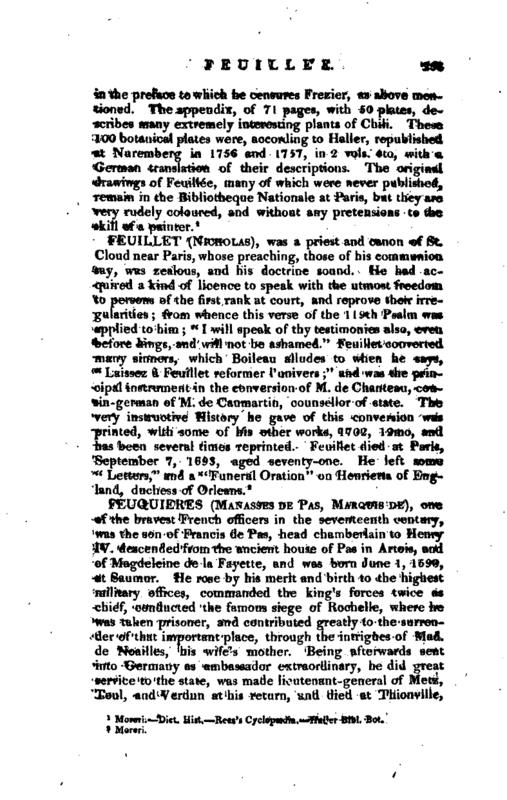 He is said to have been of that modest simple character, which best becomes an ecclesiastic and a true philosopher, except perhaps 'in his resentment against Monsieur Frezier, a rival philosopher and naturalist, sent out likewise by Louis XIV. whom he criticises at some length, in a rather contemptuous style, in the preface to the Journal of one of his voyages.